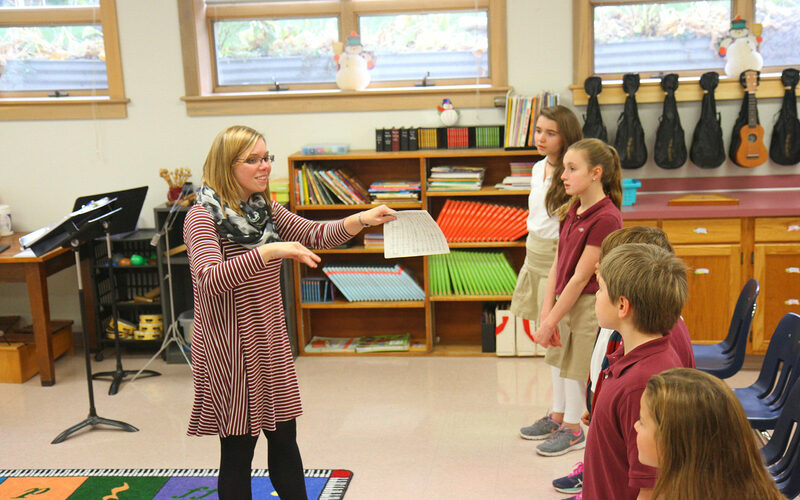 Megan Charlesworth is in her first year teaching Lower School music, and her students continue to surprise and delight her. Next week, Charlesworth will lead her first Lower School Winter Concert, featuring third graders dabbling in harmony by singing in round, fourth graders singing two melodies simultaneously and the fifth grade singing true harmonies. In addition, the LS band and orchestra will also stretch out their muscles on a broad range of material and styles. Charlesworth comes to Country Day from the Hazelton Area School District and cites the music department, in addition to her eager and apt students, as an energizing part of her brief tenure here. “The department just works well together and there’s a common vision and goal to grow the program and reach as many different students in as many different ways as we can,” she said.